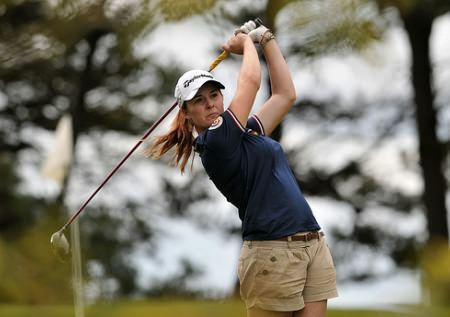 The Royal Co. Down Ladies star raced four up against Curtis Cup star Meadow from Royal Portrush when she birdied the second and seventh and had a hole-in-one at the eighth to go four up after 12. 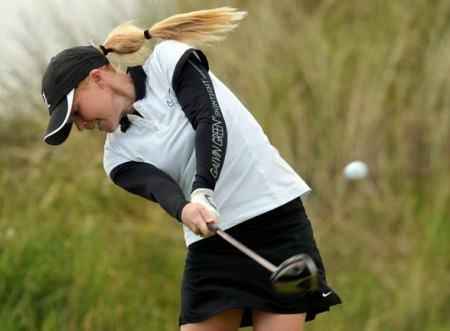 She also birdied the 13th in a match that produced betterball figures of eight under par but Meadow hit back with birdies of her own to be just one down playing the 18th. Mehaffey was not overawed, however, and closed out the match in sensational fashion by stitching her approach to gimme range for a closing birdie three and a two up win. Mehaffey will face past champion Karen Delaney from Carlow in today’s second round while Maria Dunne from Skerries takes on Seapoint’s Carla Reynolds. Moate’s Amy Farrell will play The Heath’s Mary Doyle, who came through a tight match against her Girls International team mate Ariana Coyle Diez from Elm Park. 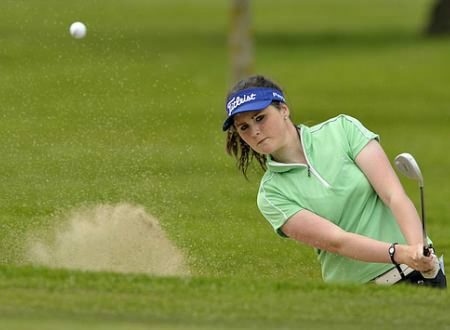 The Maguire twins Leona and Lisa will face each other in one of the matches of the day while Donabate’s Pat Doran will take on Ballyclare’s Hannah Henderson with her confidence sky high following her win over third placed qualifier Lucy Simpson. Holywood’s Jessica Carty, another member of the High Performance panel, beat home favourite Emma O’Driscoll and will face past champion Mary Dowling. Lisburn’s Paula Grant, who was taken to the 19th by Woodenbridge’s Louise Mernagh, will play Malone’s Louise Coffey, who beat Howth’s Laura Doherty on the 22nd hole. Meanwhile 2004 Champion Deirdre Smith from Co. Louth will play Castletroy’s Chloe Ryan, who was second in strokeplay qualifying behind Meadow.